The girls trip of a life time to Turks and Caicos turned tragic for some visitors from New York. 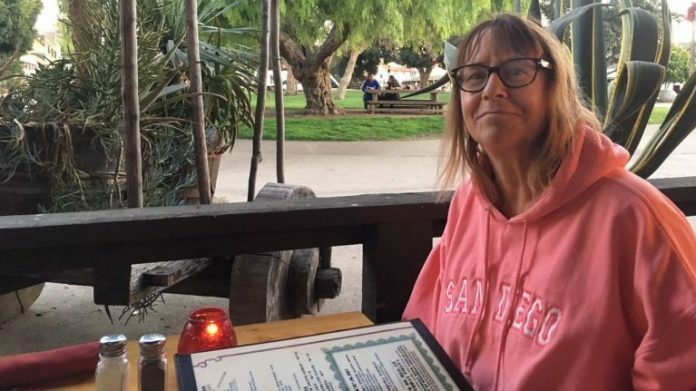 62-year-old Marie Kuhnla, a beloved mother and attorney from New York, never made it back from her vacation in the Caribbean islands. Her body was discovered in the bushes near Club Med, the resort she was staying at, on Tuesday, October 16, according to statement made by local police. She was reported missing the previous day. The tropical getaway with her two good friends and fellow employees at the Suffolk County Legal Aid Society, Helma Hermans and Kim Nohilly, commenced on Oct. 10. The women had spent years working together in family court in Central Islip, and they celebrated their friendship and their big vacation by taking part in water excursions and singing karaoke. “She kept saying to me this is the best vacation,” Nohilly told local news station ABC 7. Nohilly said Kuhnla headed to her room early to take a nap on Sunday, Oct. 14, and that’s the last time they saw her. The friends immediately knew something was amiss the next morning when Kuhnla failed to answer her door. Even though they reported her missing, the friends say they received little help from authorities and were left with no choice but to search for Kuhnla themselves. Nohilly and Hermans said authorities told them it appears Kuhnla was strangled. The Royal Turks and Caicos Islands Police Force is continuing the investigation. News 12 reported that Kuhnla lived in Wantagh with her husband and had enjoyed a 15-year career as a public defender. Kuhnla’s son Rick Jr. also opened up to Newsday. “She was a loving, caring, compassionate woman who I was lucky to have for a mom,” Rick Jr. said. “Our thoughts and prayers are with the family and friends of Marie at this time. This is an active investigation into the death of Marie and I would ask that anyone with any information to please contact the investigations from the Serious Crime Unit,” Acting Commissioner of Police Trevor Botting said. At this time no arrests have been made, and her family and friends are continuing their search for answers.